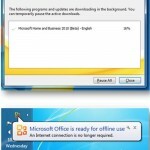 Microsoft Office for Mac 2011 is all set to be released on October 26 2010. 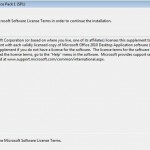 Microsoft was busy releasing its products like windows 7, Office 2010, Windows Live Essentials suite that includes windows live messenger 2011, etc. in the last couple of years. Now it is time for the much awaited Microsoft office suite of applications for Mac. 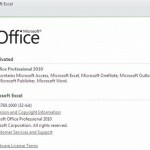 Office for Mac 2011 is a great improvement over its predecessor Office for Mac 2008. Microsoft Office had always been the world’s most popular and widely used Office suite of applications.However, Mac users weren’t lucky as Microsoft never seemed to do justice for them. This despite the fact that Microsoft Office for Mac was introduced for Macintosh in 1989, even before it was released for Windows! However, it looks like Microsoft has once again taken the Mac users seriously and like every other mac lover, we hope that microsoft releases a good suite of office applications bundled as Office for Mac 2011. Finally, it looks like there will be microsoft Outlook for Mac, which will support Microsoft Information Right’s management and will also let you import PST files. 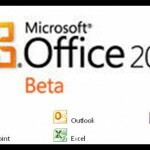 All office for Mac 2011 applications will have an interface that is tailored for Mac and like in office 2007 and office 2010, there will be a ribbon in the top menu bar to access everything. There will also be improvements in the way users can collaborate on office documents with everywhere access, full co-authoring and new connections to Microsoft services such as the Office Web Apps, SharePoint and SkyDrive. Microsoft Office for Mac 2011 looks promising and a worthy upgrade over office 2008 for Mac.Get read to download office for mac 2011! 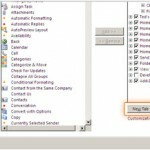 How to Download Microsoft Office 2008 ISO DMG for Mac OS for free. How to Download Microsoft Office 2008 ISO DMG for Mac OS Full Version for free.